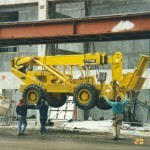 Jerry Castle & Son Hi-Lift Inc. provides unique lifting solution for D H Johnson a mason contractor out of Villa Park, Illinois. 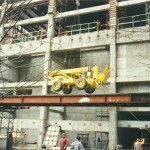 D H Johnson is a mason contractor out of Villa Park, Illinois. 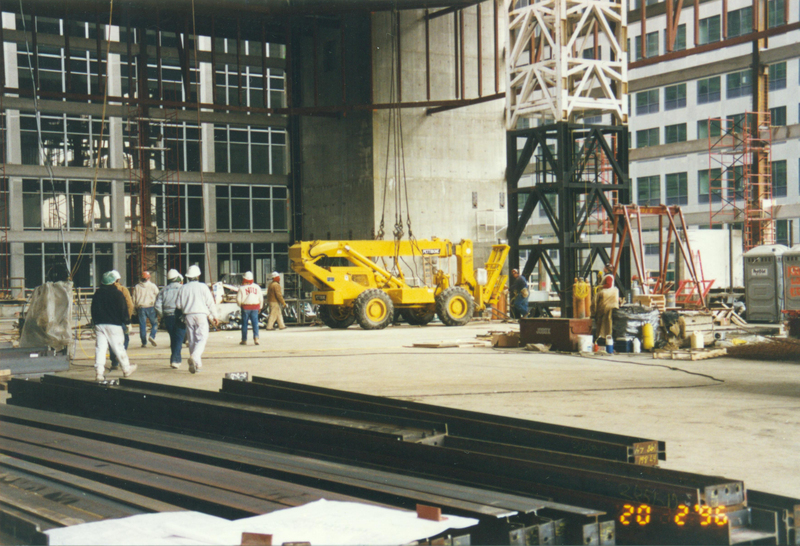 They recently won the bid for the block work for the Board of Trade Building in downtown Chicago at the corner of Lasalle and Jackson. 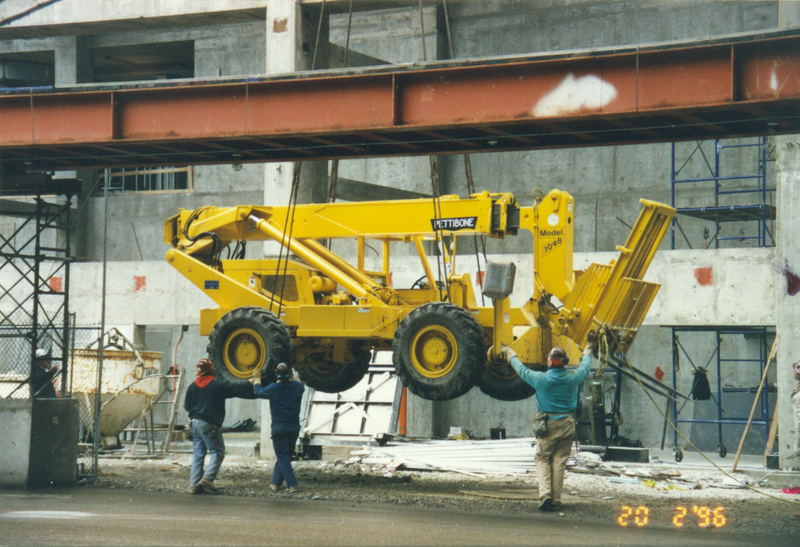 Jerry Castle & Son Hi-Lift Inc. (out of Elk Grove Village, IL) offered a unique and labor saving solution to D H Johnson by providing them with two Pettibone Model 1058 Hi-Lifts. 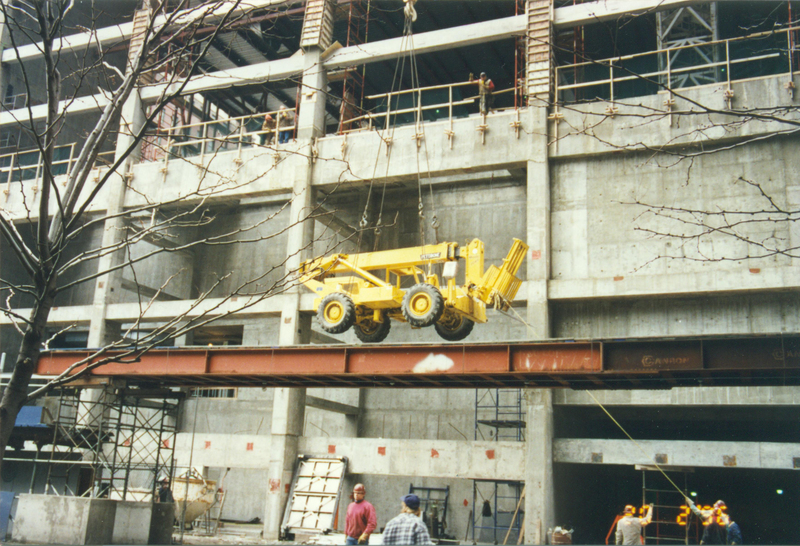 One of the Pettibones stayed on ground level to unload trucks and handle the first four floors of block work. 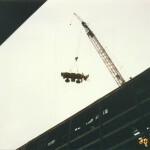 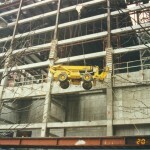 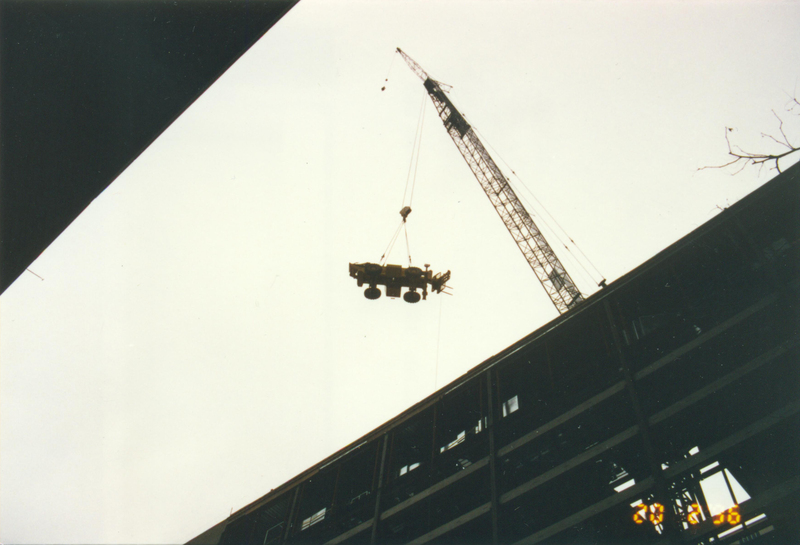 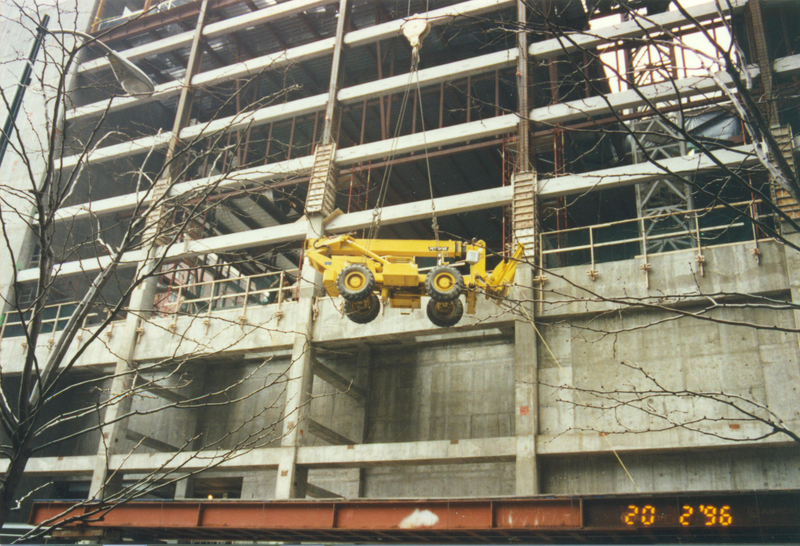 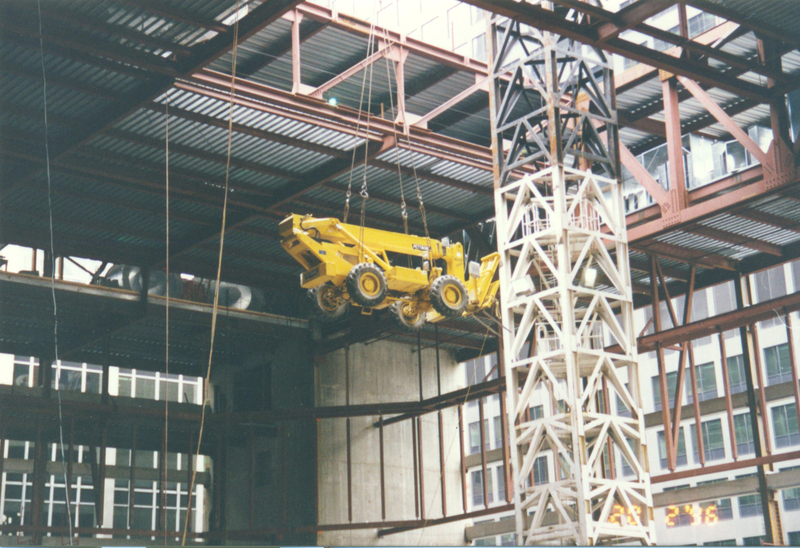 The other Hi-Lift was hoisted 130 feet in the air by a crane and brought down through the roof and finally placed on the fourth floor. 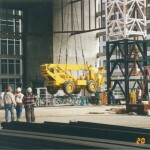 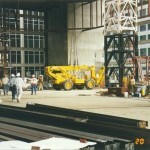 From there the contractor used the machine to lift block another 58 feet. 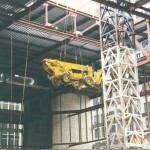 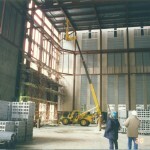 Although the machine went in through the roof, it had to go out through a window as the roof had been finished. 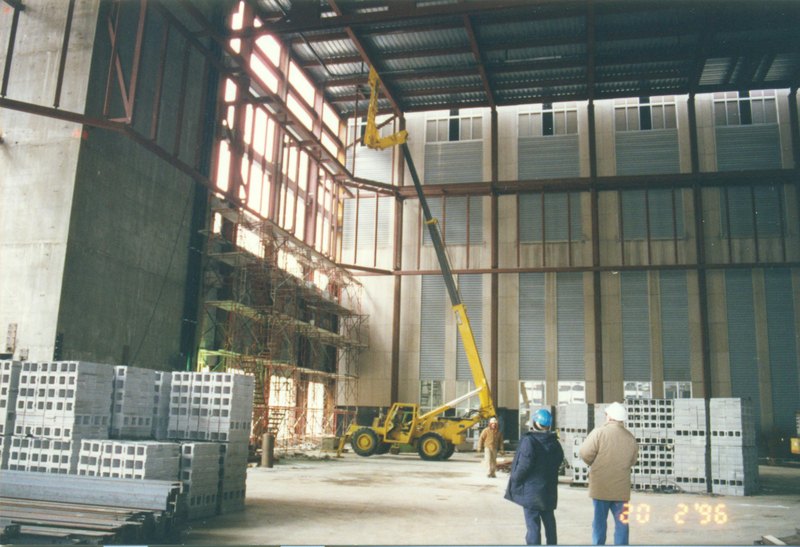 This process saved the contractor a considerable amount of time and money. 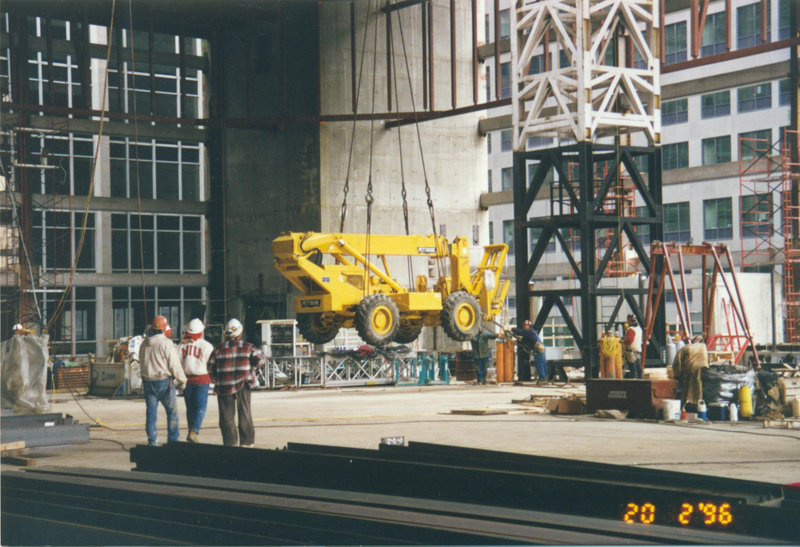 D H Johnson originally rented the machine for three months, but was so impressed by its versatility that they ended up buying the Pettibone Model 1048.